Could we ever know each other in the slightest without the arts! 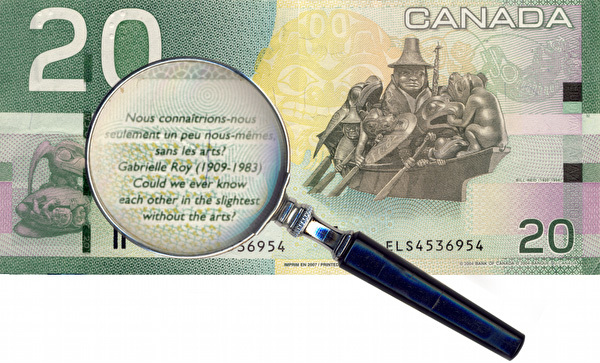 As a continuation of yesterday’s blog, “Ordinary folks don’t care about arts”, the following quote about the arts being an essential part of culture is actually featured right on the Canadian $20 bill. The fact that Prime Minister Stephen Harper considers it “a niche issue” shows how out-of-step he is with his country.